-amazing live music from no fewer than NINE local artists! -a marketplace featuring a curated eclectic mix of local vendors selling vintage and handmade goods! 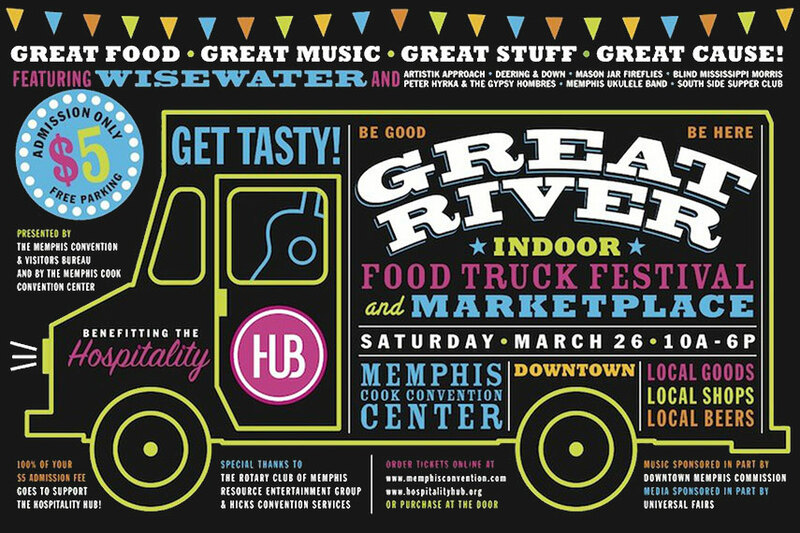 Enjoy food and music in the company of some of the coolest organizations and small businesses in town! You can’t miss this local lovin’ Memphis fun. Every cent of your $5 admission benefits the Hospitality Hub of Memphis! This organization works every day to fill loopholes and create networking opportunities in the services available to the homeless community in Memphis. Or get more frequent updates on their magic through their facebook page:https://www.facebook.com/Hospitality-Hub-of-Memphis-404640723028727/?fref=ts.